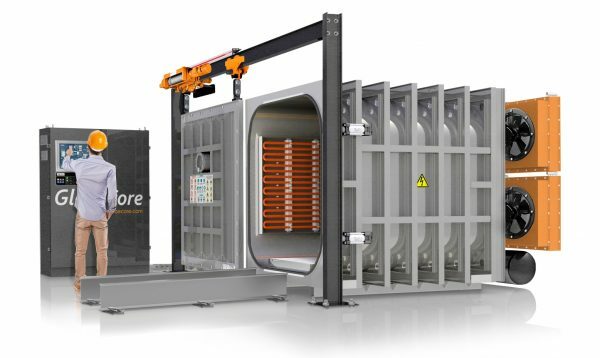 Technology in the Oil Insulated Type Transformers - GlobeCore. Oil Purification Systems. Oil Insulated Type Transformers In order to ensure the reliable and efficient operation of power grids, power companies rely heavily on the oil filled electric power transformers. 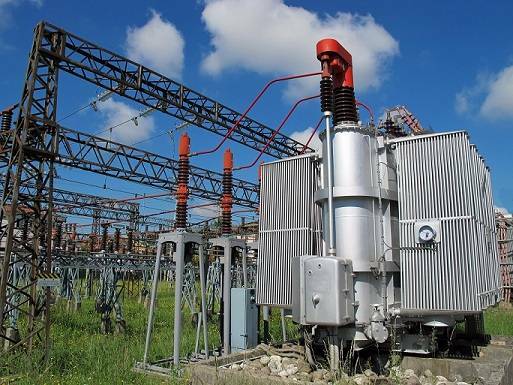 With their ability to convert energy using conductors of small size, transformers are an indispensable fixture in the energy producing and transmission industries. Oil filled transformers, by design, have a number of advantages and are generally recognized as high-tech, high-quality appliances for the transmission of large amounts of energy in the form of electricity. Oil filled transformers are arranged in such a way as to best meet almost any operating conditions. The second of the major components of the oil of the transformer is dehumidifier that is built inside the transformer. The dehumidifier is designed to prevent ingress of foreign components into the transformer insulating oil. (foreign bodies, various kinds of contaminants, dust and moisture). The cover to the oil filled transformer is equipped with a complex system of magnetic locks and clamps. Above the cover is an expander that is connected to the oil filled tank through a pipe. Harmful gases are removed from the transformer through an exhaust pipe. The oil transformer performs its functions of stepping up or stepping down voltage based on the properties of electromagnetic induction. The transformer causes the emergence of electric current in a closed network with a voltage change. The electric current that flows through the primary windings produces a magnetic field in the laminated core of the transformer. This field induces a current in the secondary winding. The number of turns in the primary and secondary windings are correlated thereby causing the voltage to be “stepped down” or fall. The transformer insulating oil therefore, is not only used for internal insulation, but also to reduce the temperature of the core and windings of the transformer that results from the process of stepping up or stepping down the voltage. Oil filled transformers are typically designed as compact devices for use in industrial buildings or in outdoor locations. The ability to operate outdoors is primarily facilitated by a well equipped protective housing. The transformer has an internal sleeve where a thermometer is located. The task of the internal thermometer is to measure the temperature of the upper layers of the insulating oil. It provides continuous monitoring of the liquid insulation and provides for the efficient and reliable operation of the transformer.Oil filled transformers have additional performance characteristics for functioning under various and extreme temperature conditions. The operating range for oil filled transformers can be as high as +40°C/104°F and as low as -60°C/-76°F. Oil filled transformers should be able to work continuously for years without a break in service and should not fail due to any fluctuations or surges in the main input voltage. Additionally, the transformer should be able to maintain a stable and consistent “output voltage” in accordance with its design and specifications. To remain fully serviceable and consistent in their performance, oil filled transformers must be maintained to certain standards. One of the most important aspects of maintaining the transformer is directly related to the quality and condition of the insulating oil. The presence of any harmful impurities or contaminants in the insulating oil will eventually destroy the solid insulation which is the heart of the transformer. If the solid insulation fails, the transformer fails. The heart of the transformer is the solid insulation, but the life blood of the transformer is the insulating oil. If the life blood becomes filled with harmful contaminates and acids, they will destroy the solid insulation. 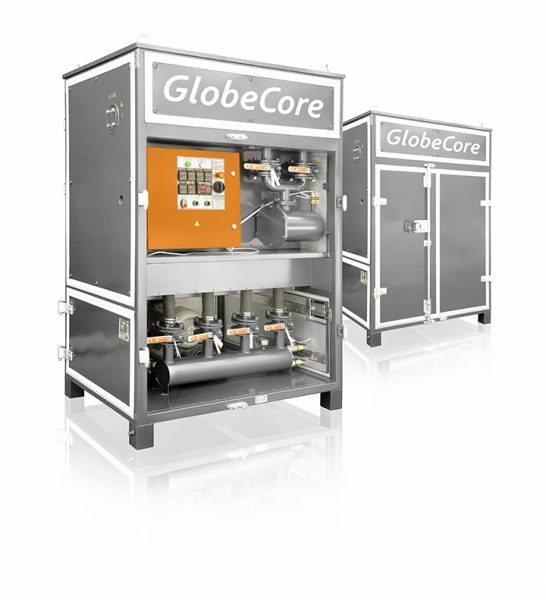 The best way to remove harmful contaminates from transformer insulating oil is with the GlobeCore Process developed by GlobeCore. 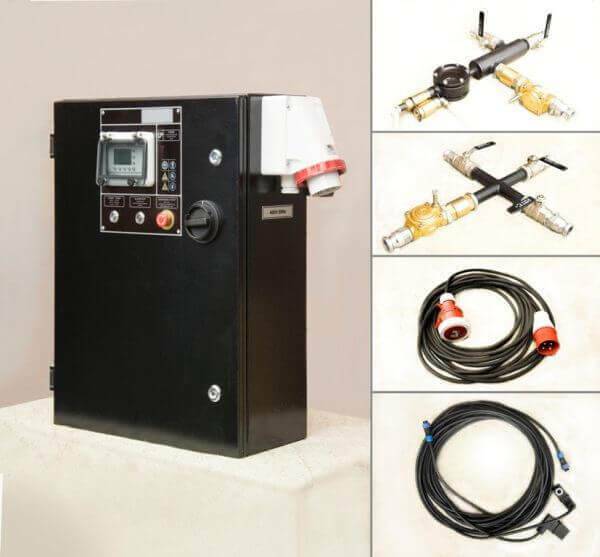 The GlobeCore line of oil processing equipment is the best in the world today and is the most cost effective way of maintaining and extending the service life of your oil filled transformers. It’s time to get with the Process, The GlobeCore Process!